Institute of Art Design + Technology/National Film School Open Day takes place on April 14th. If you're interested in furthering your career in the Film + TV industry IADT are inviting potential postgraduates to its Open Day on April 14th. It’s an opportunity for students to go and meet the staff to chat about the area you’re most interested in and listen to overview talks that outline the contents and requirements for the courses on offer. The talks will be about 30 minutes long and should be very helpful in steering you in the right direction when choosing the most suitable course. This production-centered course will be of interest to graduates of any discipline who wish to acquire practical production skills in radio and television broadcasting. You will learn about editorial content for course genres from news to culture and arts, sports to current affairs, entertainment to documentary, chat shows to political analysis. The MA in Screenwriting is the longest running and was the first MA of its kind in the country. This course gives writers the opportunity to explore, experiment and learn the craft of screenwriting, in conjunction with the development and writing of a full-length screenplay. It employs the very best screenwriting tutors in Ireland and each year we offer our students advice and input from the very best writers/producers and directors who visit our programme as panelists and guest speakers. Closing date for application to our courses is 25th May. 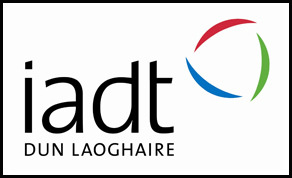 Click here to register for IADT’s Open Day.